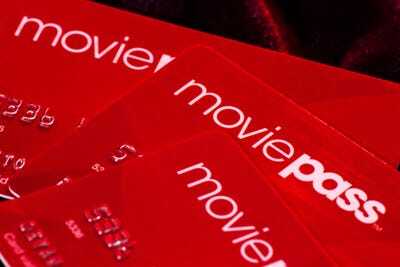 MoviePass announced Monday that it would limit the number of movies subscribers could see to three a month. The change is meant to control the company’s cash burn, which has soared to an estimated $US45 million a month. More changes are coming if you have a MoviePass subscription, but this time they may actually be good for you. On Monday, the movie-ticket subscription service announced that its service would allow users to see only three movies a month starting August 15. Customers who see more than three movies in a month will get discounts of $US2 to $US5 a ticket if they book through the MoviePass app, the company says. This may sound bad at first blush, as subscribers today can see one movie a day with the service, but MoviePass is also rolling back several recent changes that enraged many subscribers. Among them were added pricing for certain movies and showtimes, no access to major releases like “Mission: Impossible – Fallout,” and a higher monthly fee of $US14.95 a month. This new plan reverses all of those measures. MoviePass CEO Mitch Lowe told The Wall Street Journal that this change would reduce the company’s rate of cash burn by more than 60% and make its attempt to become profitable “more manageable.” But with an estimated cash-burn rate of $US45 million last month, the company would still have an uphill climb toward profitability. “I should have accelerated the process of reducing the burn faster in hindsight,” Lowe told The Journal. This new option is meant to strike a balance between making MoviePass economically viable and appeasing customers, who complained about peak pricing and not being able to see major releases. While the new change is sure to anger some users, Lowe said only 15% of MoviePass subscribers saw more than three movies a month.